We're a family owned and operated ac company dedicated to improving the lives of our customers and bettering the communities we work in. Despite our growth and expansion we will still act local. We place a great deal of emphasis on customer service, are a bit more personable, and make sure the work we do is exceptional. That is what makes us stand out and the reason we have a solid reputation. Over 80% of our business is generated by referrals! If you live in Ocala, Dunnellon, the Villages, or nearby areas, let us earn your trust and business! At Coast to Coast Heating & Air we treat our customers like family. This means we intend to establish a healthy relationship every time our phone rings. We know that if we provide quality air conditioning services to our customers, they will not only consider us again in the future, but will also recount their experience with their family and friends. In addition, we are open and honest about our prices and services, and are always willing to answer any questions you might have about your HVAC repair, air conditioning installation, or ac maintenance. 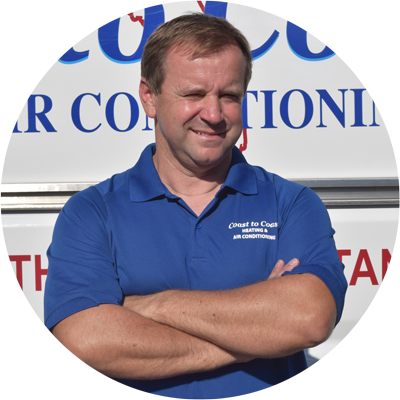 At Coast to Coast Heating & Air we hire experienced air conditioning professionals who have the knowledge to recommend, install, maintain and repair the HVAC system for your home. They do their job well and leave you absolutely satisfied. They identify problems with your HVAC system quickly and efficiently, help you understand any part of the process that you would like to learn more about, share helpful information about potential issues you could face with your HVAC system, and properly clean up the work area after they do their job. At Coast to Coast Heating & Air we focus on achieving 100% customer satisfaction. We hold ourselves to higher standards and go beyond normal procedures to ensure a rewarding start-to-finish process that fulfills your most expecting demands. It starts with your initial phone call. Speak with an informed member of our staff and he or she will immediately place our extensive resources at your disposal. Flexible scheduling, timely arrival, an organized job site, and careful clean up make it simple and convenient to get the help you need. No matter how big or small your project, expect personalized attention, accurate information and cost effective recommendations. At Coast to Coast Heating & Air we deliver high quality products and services at competitive prices with a no-pressure sales approach. Our technicians and staff work with your best interest in mind. They ensure that you are equipped with the optimal solution for your individual heating and cooling needs. 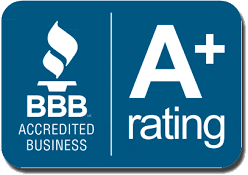 At Coast to Coast Heating & Air, LLC, we are proud to be an ac company that has NATE-certified technicians that possess the skills and knowledge to perform at the highest industry standards. Additionally, they participate in continued factory training, keeping current with advancements in techniques and technology, and adhere to strict installation and maintenance procedures.